Audio over IP Networking in Broadcast. TM Broadcast Magazine. While the transition from analog to digital is complete in TV broadcasting in many regions worldwide, the next wave of change is already here. The use of computer networking as a cost-effective and technically superior means of connecting, routing and managing AV systems is a reality that is changing equipment, workflows and possibilities today. Today’s broadcasters are seeing a steady increase in the number of audio and video channels in use. Controlling and routing all of these signals using legacy non-network transports can be a daunting task, involving expensive specialized routers and complex workflows that vary from one manufacturer to another. Adding and incorporating new equipment can mean upgrading and replacing many other pieces of gear to maintain compatibility and provide bandwidth. Simple tasks such as maintaining lip sync can require format conversions and expert use of costly equipment. 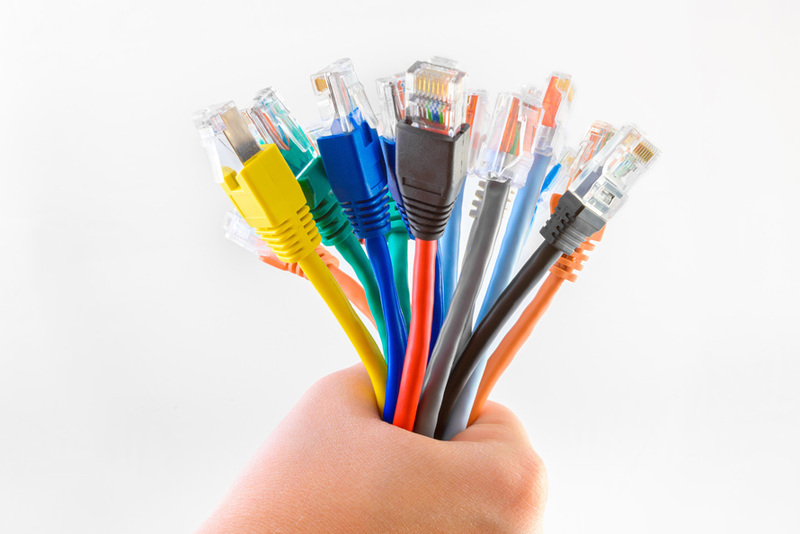 By way of contrast, an IP-based solution can handle many hundreds or thousands of channels of audio connecting dozens of devices using inexpensive Cat5E cabling and a few inexpensive gigabit network switches. There are no specialized routers needed to provide conversion and distribution; all changes are made quickly and easily in software running on ordinary computers, with no disruption of production activities. Even metadata delivery and synchronization is a natural fit for IP networking, which provides an open and well-understood platform for development of delivery systems that non-networked systems cannot match. Gigabit and faster network speeds have made IP networking an indispensable medium. In broadcast, it is simply the best way to transmit bit-perfect audio between as many devices as needed, with low latency and tight synchronization. Today’s IP technology offers a best-of-all-worlds combination of increasing performance with decreasing costs, a trend that is sustained by the growing use of IP networks across nearly every type of industry. The growth of IP systems for media has resulted in the rapid deployment of hundreds of new products in all key audio categories. Today there are over 800 networked audio products available on the market, with Audinate’s Dante audio networking incorporated in more than 60 percent. Complete end-to-end systems from microphones to loudspeakers may be specified across different brands, and new products are constantly being released. Manufacturers have risen to the challenge of integrating digital audio networking with existing systems, so older equipment can remain a vital part of modern broadcast facilities. Many mixers, routers, intercom systems and amplifiers support multiple interface cards, allowing them to bridge older digital protocols such as MADI or CobraNet to a modern Audio over IP network, and dedicated convertors are available for nearly any format. This permits audio flows to remain entirely in the digital domain, avoiding signal-degradation from intermediate A/D and D/A conversions.